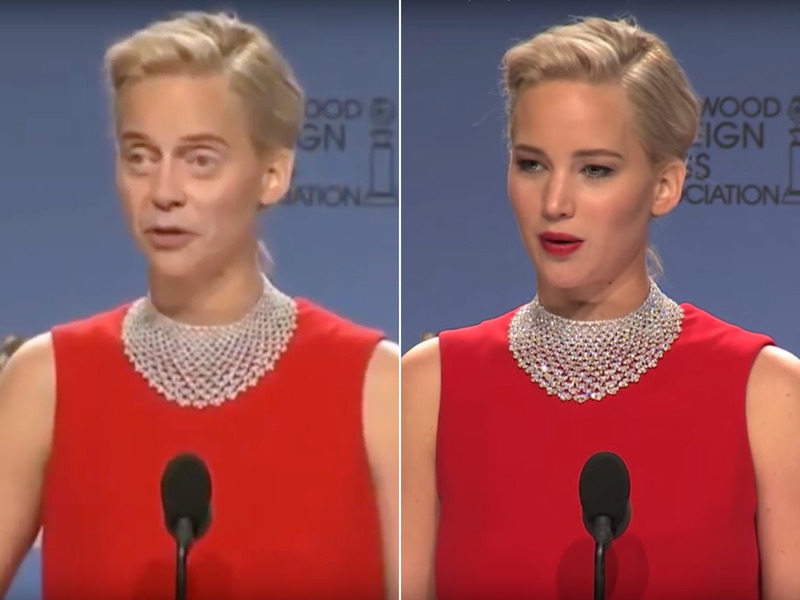 A new crop of websites shows the disturbing potential of deepfake technology. The sites present pictures of faces, cats, and buildings that are completely fake but look incredibly real. 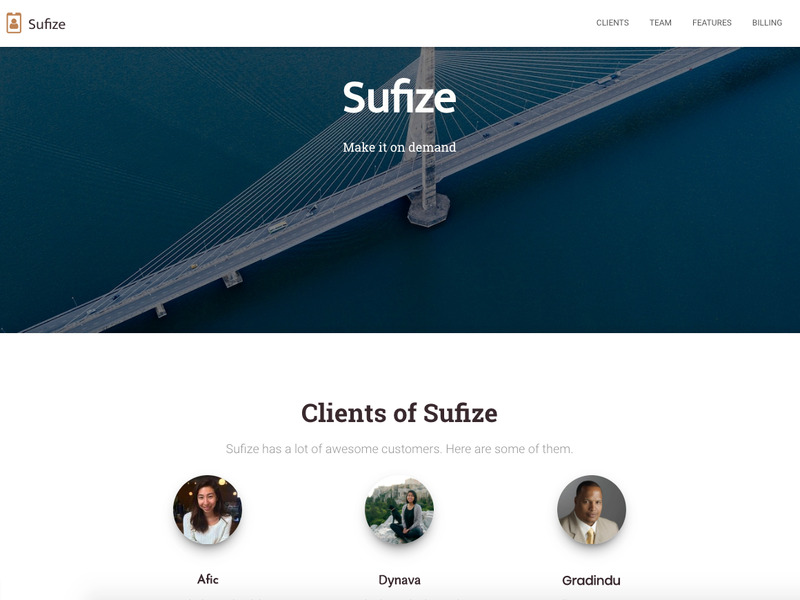 One of the site’s creators says even people without computer programming experience can use freely available tools to create fake pictures in a couple of hours. The Uber engineer behind another one of the sites says he made the site to “raise public awareness” about the new AI technology. Now, a crop of websites have emerged that highlight just how pervasive and consequential the technology is likely to become. ThisPersonDoesNotExist.com serves up a rotating gallery of pictures of different faces – but each face is completely fake and computer-generated. The site can create these AI-based faces using something called a generative adversarial network (a GAN). As The Next Web explains, these GANs pit two algorithms against each other – a generator and a judge. The generator creates fake depictions of something and attempts to fool the judging algorithm into believing it’s legit. Each item that the GAN spits out is an iteration of where the generator was successful in beating the judge. 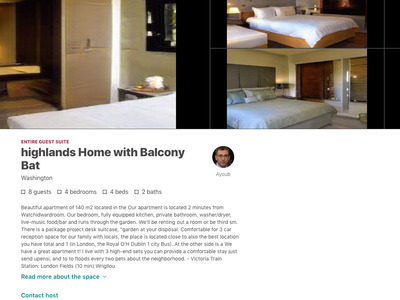 Several other sites have used StyleGAN to develop similar sites showing fake cats, fake anime characters and even fake Airbnb listings. A developer behind one of these websites explained that he took on the project in order to demonstrate an important point about AI and neural networks: This technology can be used to easily fool people into believing fake and doctored images.Experts have raised concerns that these sophisticated tools could be weaponised for furthering fake news and hoaxes. How it works: Every time you refresh the website, the StyleGAN creates a new AI-generated face. 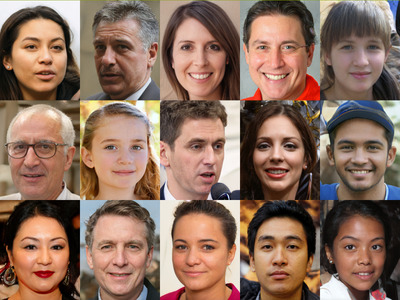 The generator uses a dataset of faces from Flickr. Created by: Philip Wang, former Uber software engineer. He shared the website in a public Facebook group about artificial intelligence and deep learning. “I have decided to dig into my own pockets and raise some public awareness for this technology,” Wang wrote in his post in the Facebook group. See for yourself at ThisPersonDoesNotExist.com. How it works: Nvidia’s code on Github includes a pretrained StyleGAN model, and a dataset, to apply the code to cats. Created by: Two websites have since emerged. One version, ThisCatDoesNotExist.com, was created by Wang, the same person behind ThisPersonDoesNotExist.com. Like the original website, this site shows one AI-generated cat per page refresh. The other version, TheseCatsDoNotExist.com, was created by Australian developer Nathan Glover. 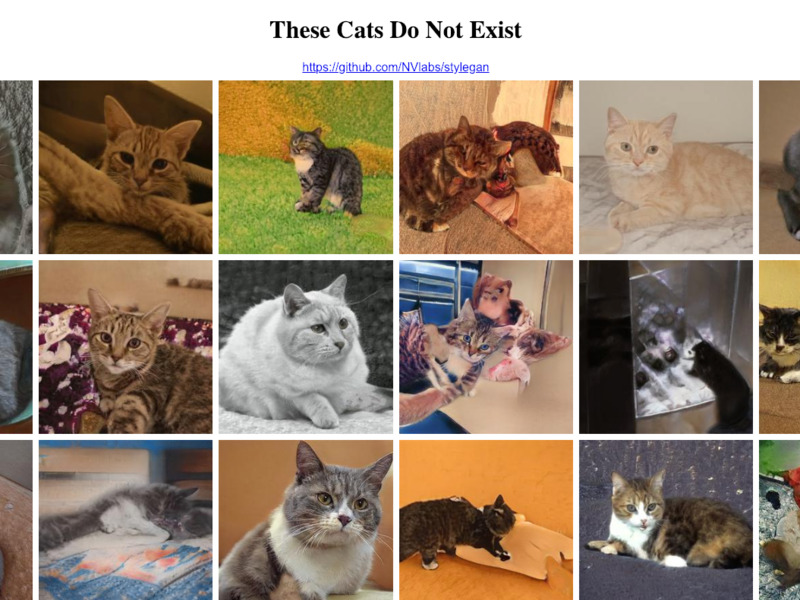 He posted the link to his site on Twitter, and wrote he had generated over 30,000 fake cats. The website shows rows of these cats at the same time, but they change each time the page is refreshed. See for yourself at ThisCatDoesNotExist.com and TheseCatsDoNotExist.com. How it works: Each time the page is refreshed, the website shows a new fake Airbnb listing, complete with AI-generated room pictures, name and face of the host, and listing description. “They are all fevered dreams of computers,” the website says. See for yourself at ThisAirbnbDoesNotExist.com. How it works: Every 10 seconds, a new StyleGAN-generated anime face appears. 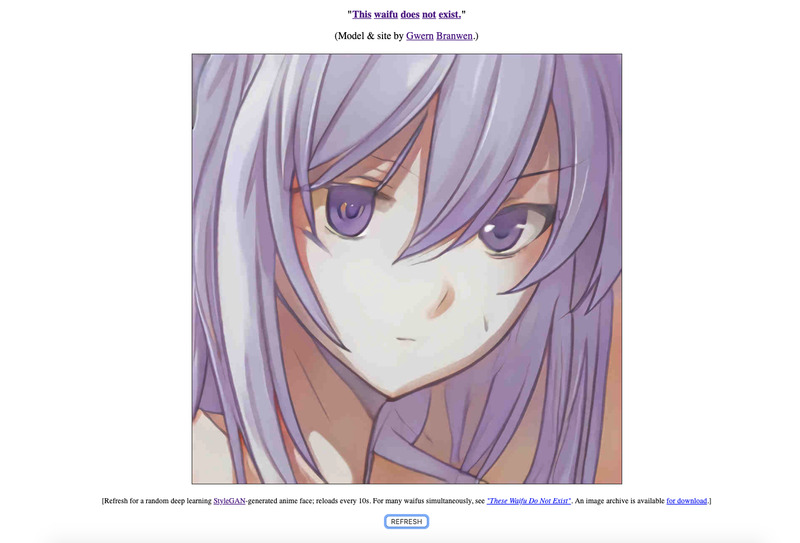 The site uses a database, called Danbooru2018, that contains millions of images of faces from anime. Created by: Gwern Branwen, a writer who has covered statistics, the darknet, and Bitcoin. Branwen actually created the Danbooru2018 dataset, which the site uses to generate the doctored photos. “Waifu” refers to female anime and manga characters. The website has been picked up on forums on Reddit, 4chan, and China’s Baidu. See for yourself at ThisWaifuDoesNotExist.net. How it works: This website was created as an interactive game. With each refresh, you’re presented with two faces: one that’s real, and one that was computer-generated. You then get to decide which picture you think shows the authentic human face, and the website will tell you if you’re right or wrong. Created by: Jevin West and Carl Bergstrom, professors at the University of Washington. They created the website as part of their Calling Bulls–t project, based off a course they teach on using data and analysis to figure out what’s false and what’s truth in the digital world. 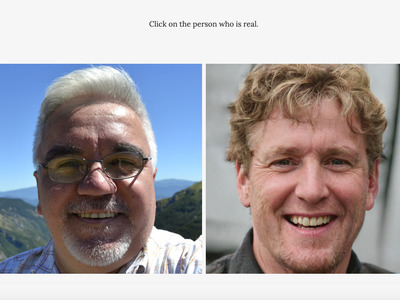 “Our aim is to make you aware of the ease with which digital identities can be faked, and to help you spot these fakes at a single glance,” the two professors wrote on their site. You can play the game at WhichFaceIsReal.com. How it works: A new template for a startup appears every time the page is refreshed. The website uses the same design template for each fake startup, but the details are different. Created by: Unclear who the website can be attributed to. However, the first tweet linking to ThisStartupDoesNotExist.com was posted from a Twitter account that aggregates posts from the Reddit thread r/technology (the original Reddit post couldn’t be located). See for yourself at ThisStartupDoesNotExist.com.